Why Russia Didn't Use Veto for Libya? Why Russia Didn’t Use Veto for Libya? Russia which has a significant interest in Libya kept itself quiet when other countries were voting for passing a resolution to enforce a no-flying zone in Libya. Just after the west began to use its force in Libya, Russians came up with condemnations and criticizes. At this anyone could get confuse that why Russia didn’t prevent the bill from passing. Russia and China both are permanent members of United Nations Security Council (UNSC) both have veto power which means they could block anything what they don’t agree. We can explain veto in simple terms, if members of UNSC decides on something, then that can not be implemented until all the countries having veto powers agree on that. The countries which can do that are US, Russia, China, UK, France. India with few other countries being non permanent member of UNSC doesn’t posses veto power. Authorities in Russia says that they were not made clear on what was going to be done in Libya and what would be the objective of the mission. Russia agreed what is happening in Libya is’t good that’s why they wanted to do something for civilians but didn’t know that west will respond with huge force killing those civilians itself. Serving no purpose. Russia and Germany both agreed on this point that they weren’t given enough convincing answers so they decided neither to back out nor to support. While this is the exact reason which Russia states for not using its veto power, but Russia if it will loose something then will also gain few things with this decision. Knowing that now Gaddafi may eventually fall after this huge operation by western forces, Russia wouldn’t like to loose contracts and deals with the new government which will be forming in Libya by helping Gaddafi. Thus, Russia can maintain ties with Libya intact. In the Image above is the Prime Minister of Russia, Vladimir Putin, who has also served as President of Russia for two consecutive terms, is responsible for bringing back the much power and respect today Russia has which it had lost after the collapse of Soviet Union. After a retreat from Afghanistan and being a victim of Islamic militants of Chechnya, Russia wouldn’t like to mess with another Islamic country which could raise general anger among Muslims around the world against Russia. Till now Arab league is also backing western strikes, but now that Gaddafi is calling all Islamic countries to help him fight against west, we don’t know who are actually going to help America and who are going to help Gaddafi. Russia had this opportunity to come again in world decision making and policy setting group, but couldn’t do much as it is not ready to take any risk right now when its economy and relations with west are improving. This is true since the fall of Soviet Union, western powers are doing just what they want and attack anyone. Iran, Iraq, Libya, were safe during Soviet Union’s period. Today’s Russia is not what Soviet Union was, and it requires to build a platform once again to regain that image which it had that time. Scroll down if you are looking for comment form, your comment is very much appreciated!! Visit The World Reporter for discussion on this post. Or you may like to know what others are saying on this topic. Sanskar Shrivastava is the founder of international students' journal, The World Reporter. Passionate about dynamic occurrence in geopolitics, Sanskar has been studying and analyzing geopolitcal events from early life. At present, Sanskar is a student at the Russian Centre of Science and Culture and will be moving to Duke University. Nomadic people that live across mainly 5 countries, Algeria, Libya, Mali, Niger and Burkina Faso, the Tuareg are also called the ‘blue men of the desert’. This has to do with the dark blue turbans that leave stains on their skins. Their number can be only estimated and it is allegedly close to 3 million with another 1 million exiles spread over many other countries. Apart from a rich culture, tradition and history the Tuareg also provide us with a case study for unintended consequences of humanitarian intervention. More specifically, in this short piece of writing I will explore the results of the Libyan revolution and the Gadaffi regime-change in terms of Tuareg rebellion in Northern Mali. 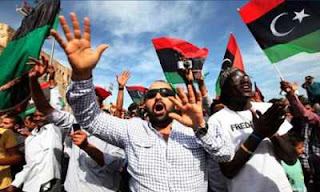 In February 2011 the Arab Revolution touched Libya where Colonel Gaddafi was fighting the rebels with large support of his Tuareg brave Saharan friends for whom during the 1970s and 1980s he set up training camps. It is fascinating to see how the Colonel himself has been symbolically perpetuating a romantic view of the nomadic lifestyle through his clothing and by hosting international leaders in his everywhere-travelling famous Bedouin tent. Much could be said about the ideological motivations behind the Tuareg support in Libya. However, the material aspect should not be downplayed. It is reported that the promised payment for the fighting was of about $10.000 to join up and of $1000 for each day of risking the life. Most of the time this can be the only source of income for the families making a living in the dry desert. The energy deposits that could spur development in this region are not well managed and the northern areas where the Tuareg are located are often marginalised by the central authorities. After Gadaffi had been overthrown with NATO support and executed by the angry mob, his former Malian Tuareg allies found themselves armed and ready to reclaim their ancestral land. The creation of a new rebel group called the National Movement for the Liberation of Azawad (MNLA) would also bring to life a competitor in the shape of an Islamist military rebel group, Ansar Dine which is aligned with Al-Qaeda. The MNLA rebellious attacks commenced in January 2012 with the aim of taking over Northern Mali. An internationally condemned coup d’etat followed due to military dissatisfaction with President Touré’s handling of the crisis and eventually with renewed offences the MNLA got control over the three main cities in the north, Kidal, Gao and Timbuktu. Nonetheless, Ansar Dine had some military success of its own which ended up in claims over the same territory. By the summer of 2012, Mali was being torn between three centres of power: the military junta which turned authority over to Interim President Traoré, the secular nationalist movement of MNLA which had raised the flag of Azawad over Gao ( a declaration of independence rejected by the EU and the African Union) and the Salafist Al-Qaeda in the Islamic Maghreb (AQIM)/ Ansar Dine who hold Timbuktu. In June 2012, the Tuareg rebels were force to flee Northern Mali while the Islamists took over their conquered lands. The course of events surely did not end here but for our analysis this time frame is more than enough. It enables us to draw several lessons from this unfortunate situation. First, it confirms that intervention in another sovereign country ought to be of last resort. Regime-change tends to be a dangerous foreign policy since the power vacuum created allows for chaos and competing destructive interest to tear apart the social and economic order of the place in question. Some would argue that transition assistance could safely take the process to conclusion, but I think this is as risky because the local population will have a hard time accepting foreign meddling in their business. Second, I think it would be wrong to blame entirely NATO for the aftermath. As we can observe throughout the historical record, separatist impulses and even attempts have been present in Tuareg regions. There is no certainty as to how stable and unshaken the status quo would have been in the Sahara desert had Gadaffi not been killed. The fact remains he was a strong supporter of the Tuareg cause. The honesty of his support would have ultimately been tested by the Azawad rebels. With which consequences? There could be two; one is that Gadaffi’s help would have been decisive in stabilizing the Azawad aspirations. Second, his distaste for Islamist movements could have kept the AQIM out of Mali at the expense of a more autonomous north. Nevertheless, the alternative still remains that a deeper rupture in the Saharan countries could have appeared if Gadaffi had decided to get totally and directly involved in bringing about the goals of Tuareg self-determination in all the places where they are located. An all-out conflict in Algeria, Mali, Burkina Faso and Niger under the lead of the Colonel would surely attract a stronger Islamist coalition force and NATO ‘boots on the ground’ with thousands of lives lost and another never-ending war between multiple centres of power. In conclusion, it is difficult to say if NATO’s intervention in Libya was successful or not for the region. Only time will tell. What we can say for sure is that the unintended consequences are costly in human lives, political credibility and prestige, and for African security. It appears to the outside world as if one bad situation turned into a worse one. This lack of improvement is frustrating for any peaceful ideal. Before we end our journey in the Tuareg land, I would suggest listening to some traditional music here. It is the sound of hope and it might put a smile on our faces despite the dramatic contemporary events surrounding this enigmatic people. In a new development from North Africa, Pro Gaddafi’s fighters re-emerged to take small revenge. Pro Gaddafi Fighters loyal to late Libyan leader clashed with revolutionary forces in the former-regime stronghold of Bani Walid on Monday, after the arrest of one of the Gaddaffi Loyalist. With this, they have successfully gained the control over the city. According to few analysts the country is heading towards another civil war. The head of Libya’s National Transitional Council, Mustafa Abdel Jalil, has said the country will find itself in civil war if NTC resigns. 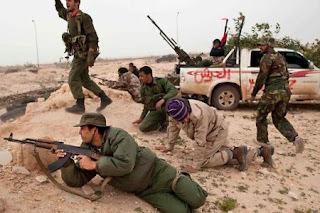 The clashes reportedly came after mass protests in the city of Benghazi happened on the weekend, as well as subsequent resignation of NTC (National Transitional Council) deputy chief, Abdel Hafiz Ghoga, resulting into the death of at least five NTC troops and injury of 30 others. Sabah al-Mukhtar, President of the Arab Lawyers Association, explained to Russia Today why another civil war is possible in the country. “Reason number one is that the arms are still in the hands of the various militias in various areas,” in addition to competing tribes in those areas, explained. “So you have the conflict on policies as well as the availability of arms,” he concluded. Sabah al-Mukhtar also says there are dramatic divergences in what the NTC says and what it actually does. The lawyer pointed out that the head of NTC himself served as a Minister of Justice under Gaddafi and turned blind eye to many injustices in the country, as told by RT. Please share and join the discussion on facebook by clicking the “Like” below. Reaction of Russia’s NATO envoy and the leader of the Congress of Russian Communities, Dmitry Rogozin, First Deputy Chairman of Russia’s Communist Party’s Central Committee and Deputy Speaker of the State Duma Ivan Melnikov. 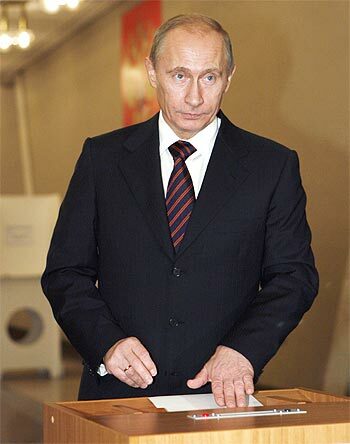 Russia’s Reaction on Gaddaffi’s Death, Remarks from US.